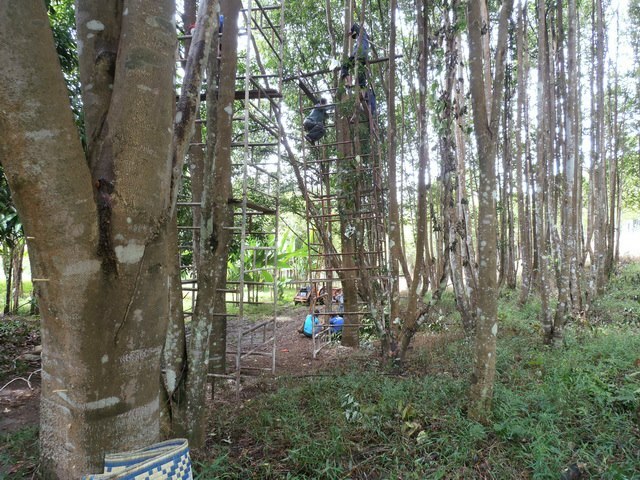 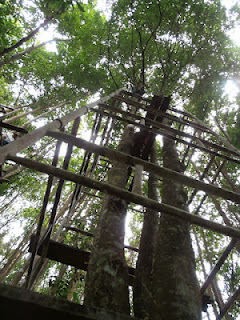 Agarwood tree inducement could be ease with scaffoding installation . 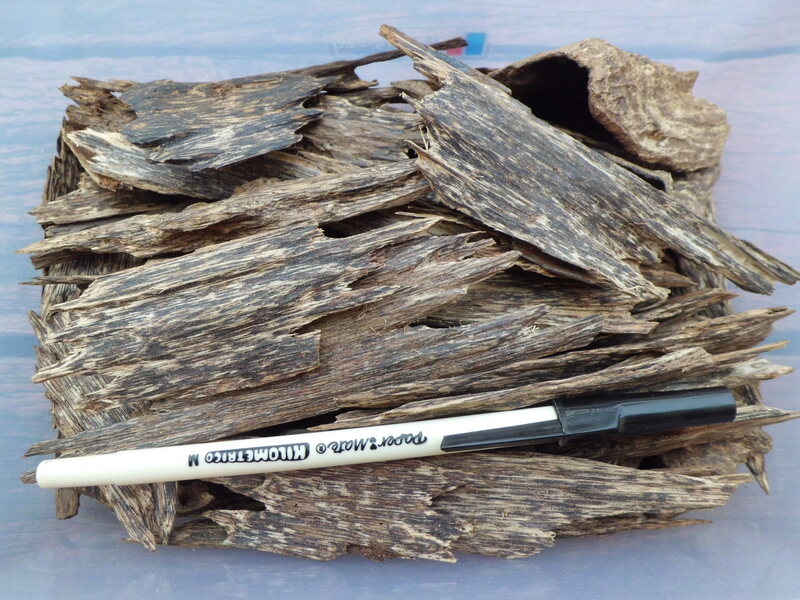 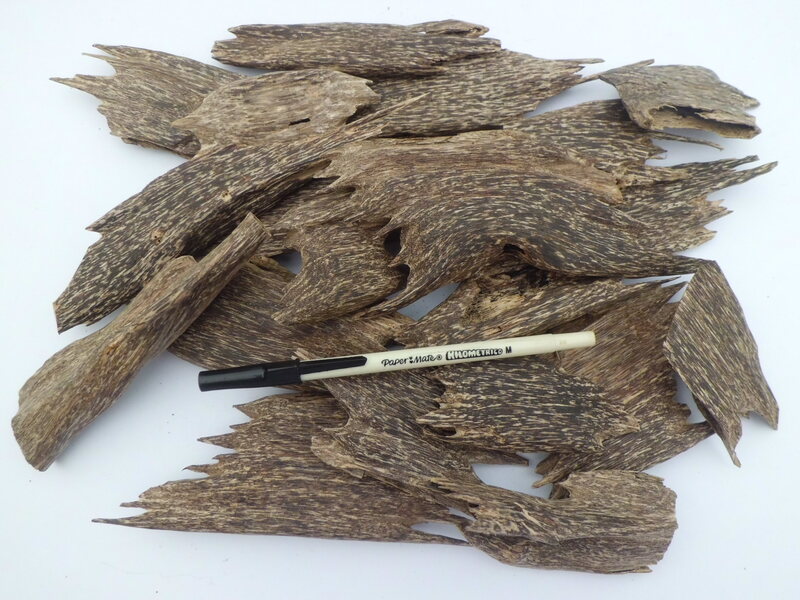 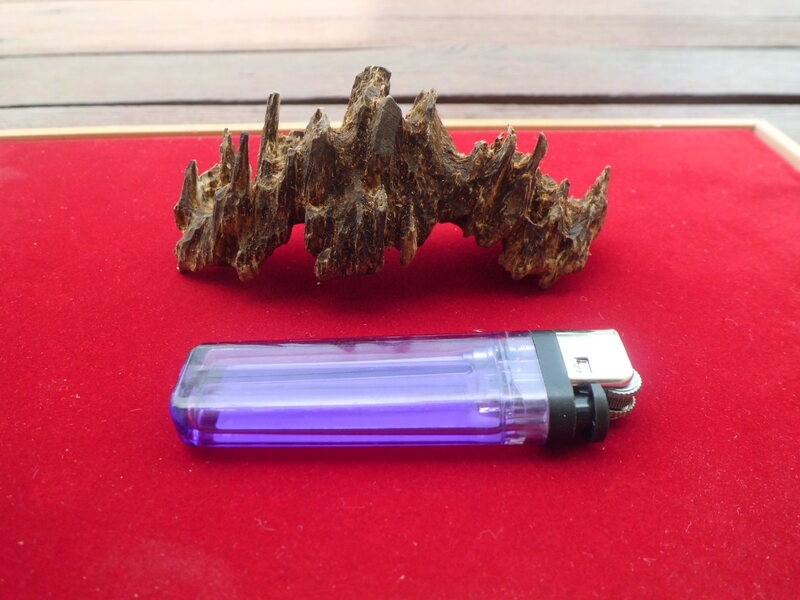 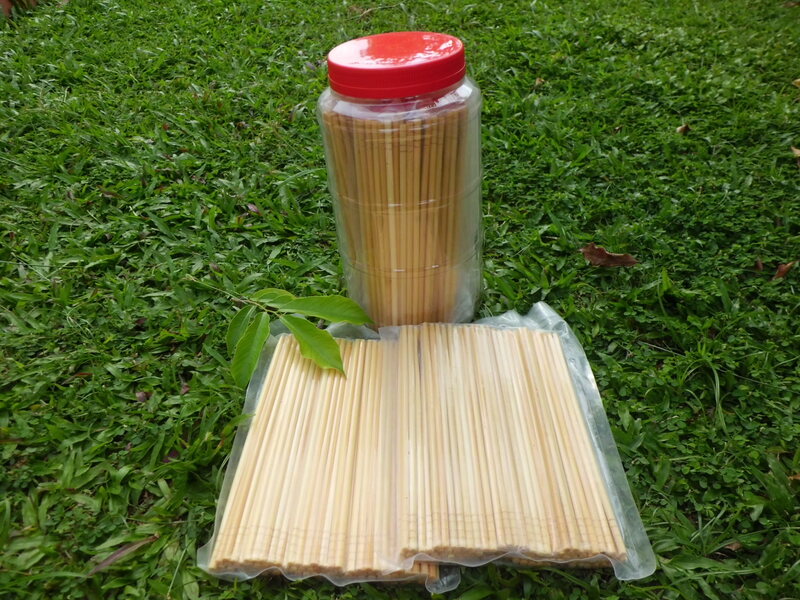 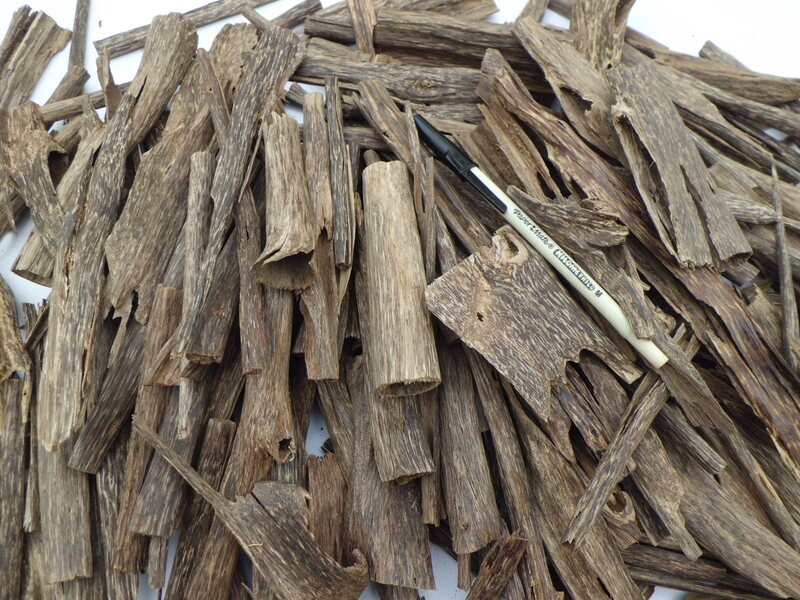 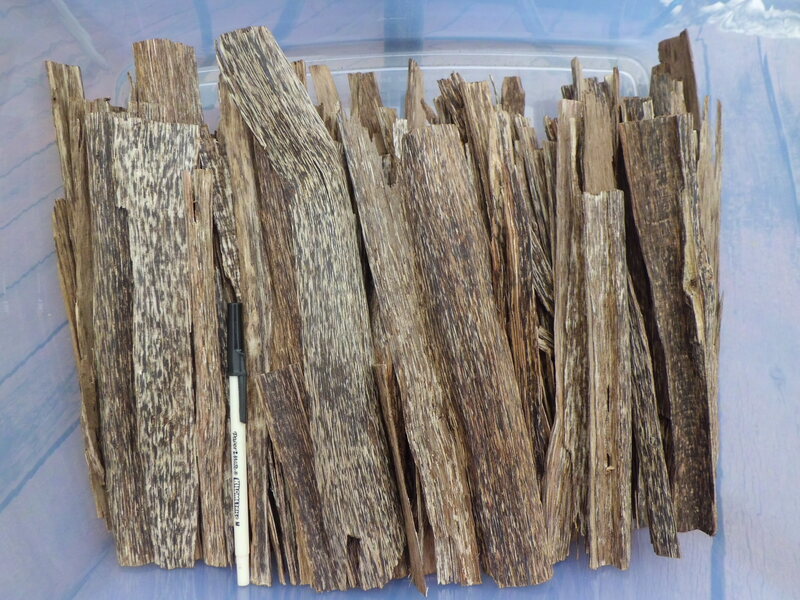 Since it is detachable and portable, it is very convenient for Agarwood farmer to own a set. 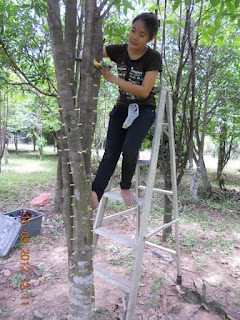 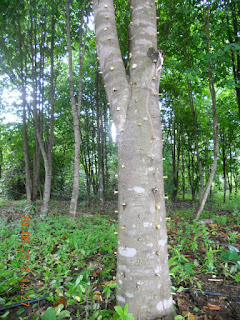 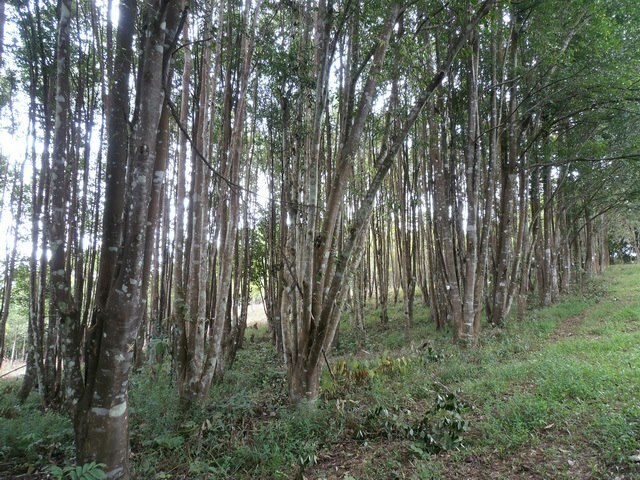 This farm is in Chiangrai,and the trees are 23-years old, cultivated farm . 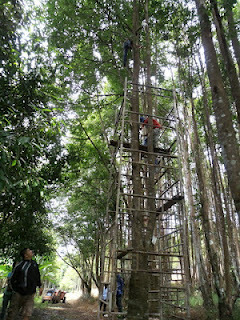 Inoculation work can be done no matter how high the tree is, and again safety is the main consideration. 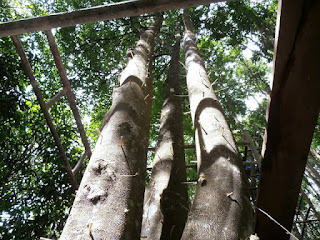 Picture courtesy — WSW.